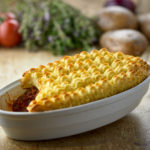 This is a perfect hearty pie! 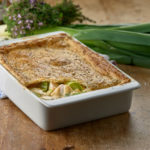 Topped with flaky puff pastry, tender poached chicken with sweet leeks in a creamy tarragon veloute sauce. 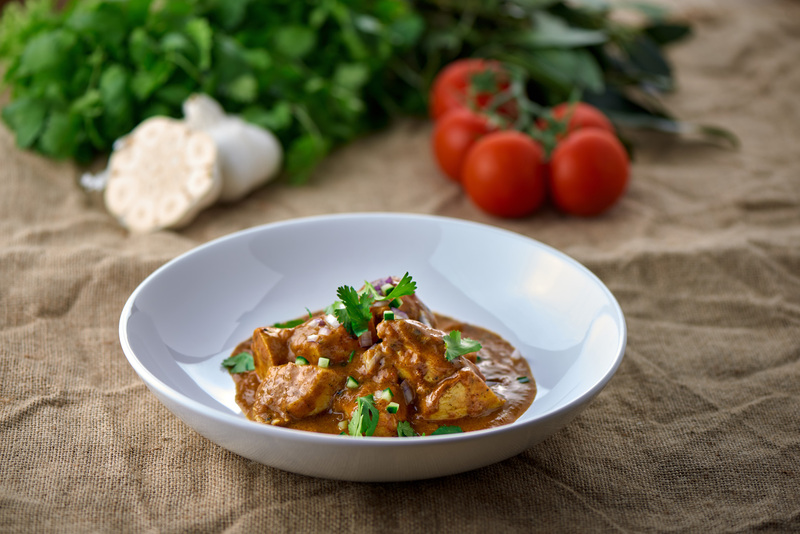 Slow cooked lamb with apricots and aromatic spices of cinnamon, paprika, turmeric and ginger. 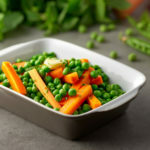 Steamed courgettes and carrots finished with chickpeas. 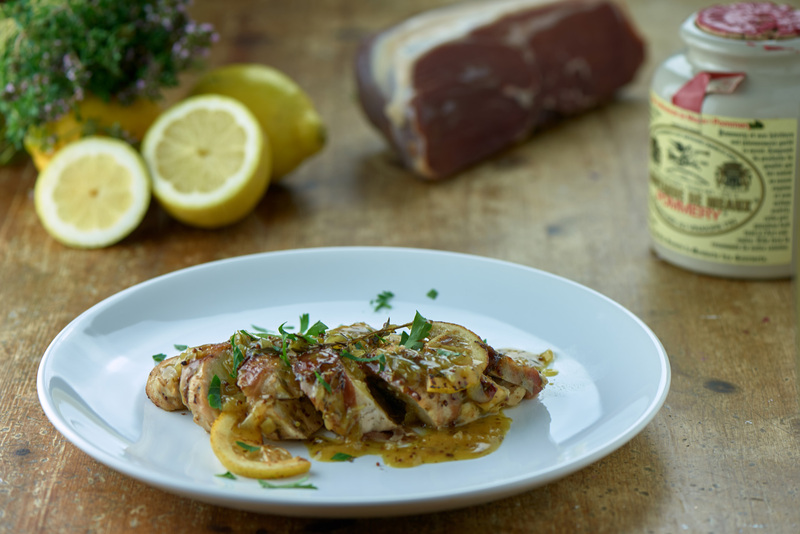 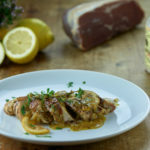 Simply roasted and sliced, sitting in a grain mustard and honey blossom liquor with a lemon, garlic, onion and thyme. 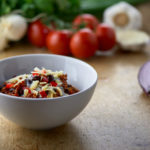 Aubergine, courgette and pepper in a rich tomato sauce with basil. 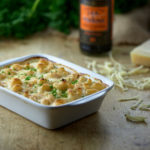 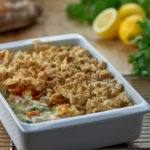 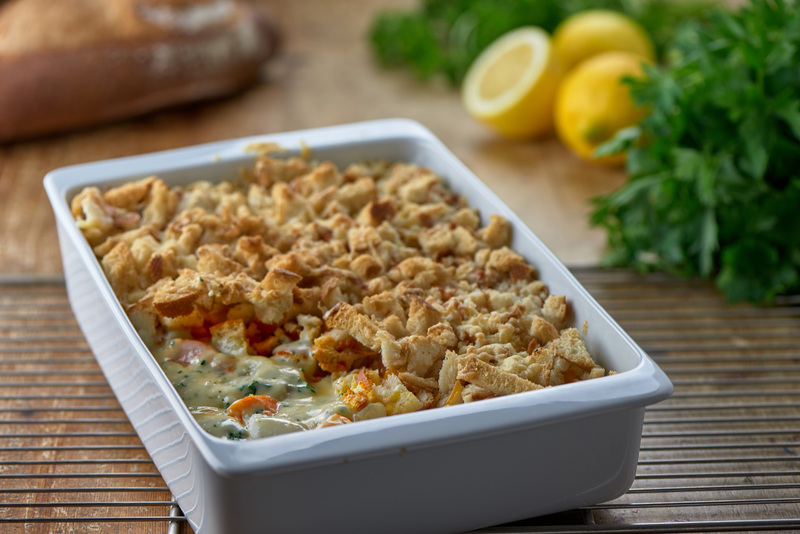 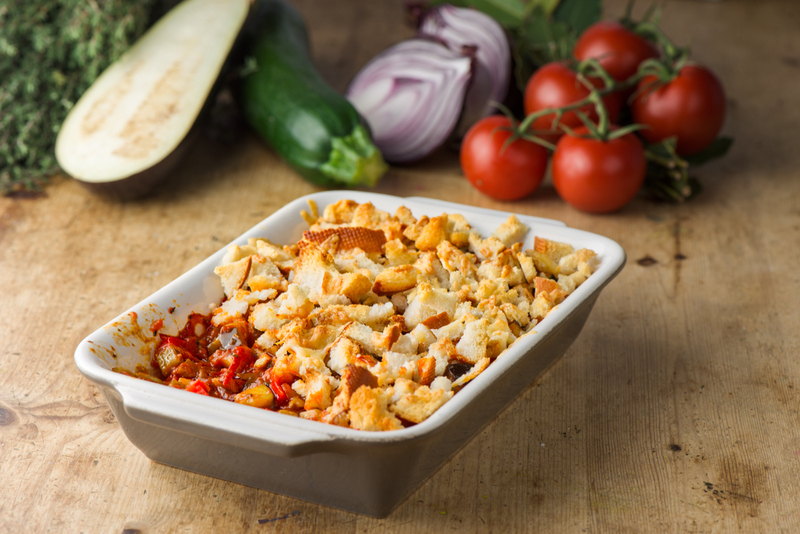 Topped with rustic baguette crumbs and Emmental cheese. 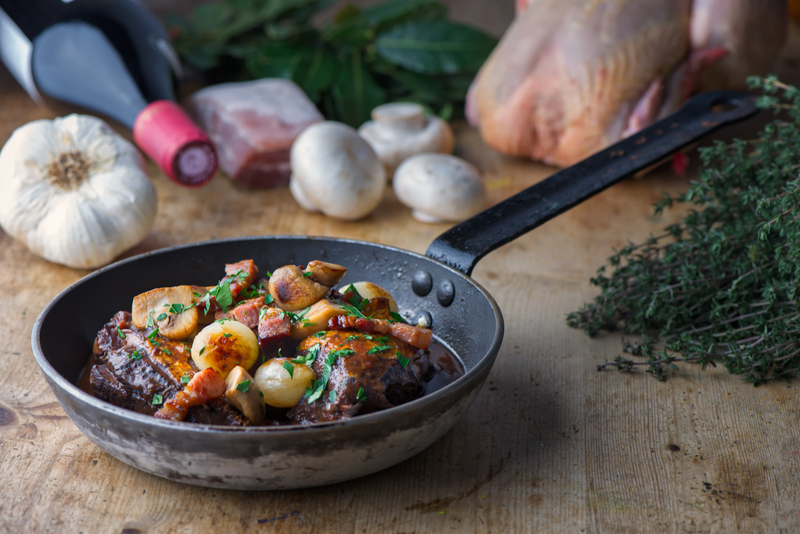 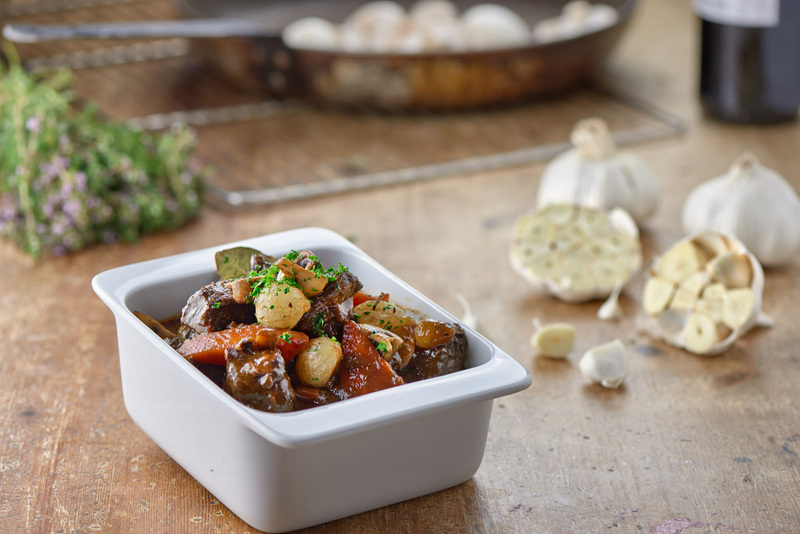 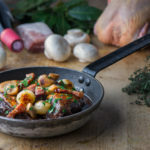 A classic French dish of slow cooked chicken, with mushrooms, lardons and garlic in a rich red wine sauce. 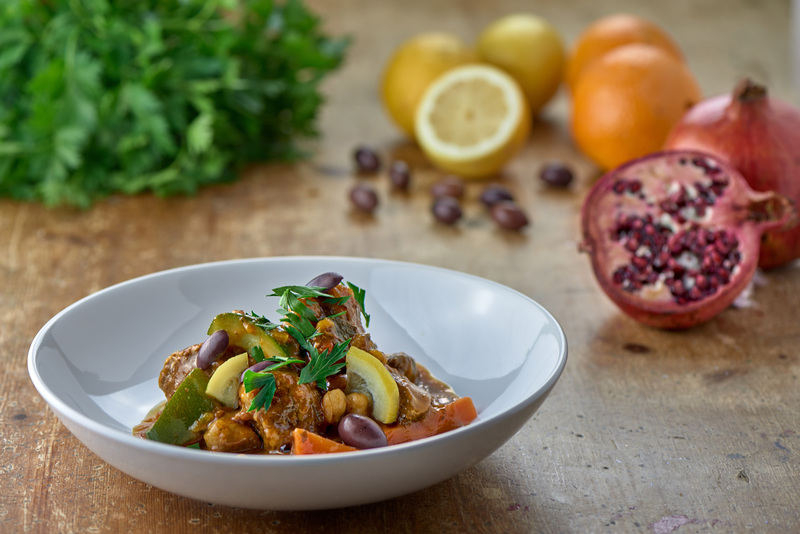 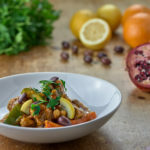 Delicious slow cooked minced beef with red kidney beans, and a touch of spice, still children friendly. 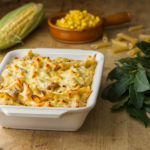 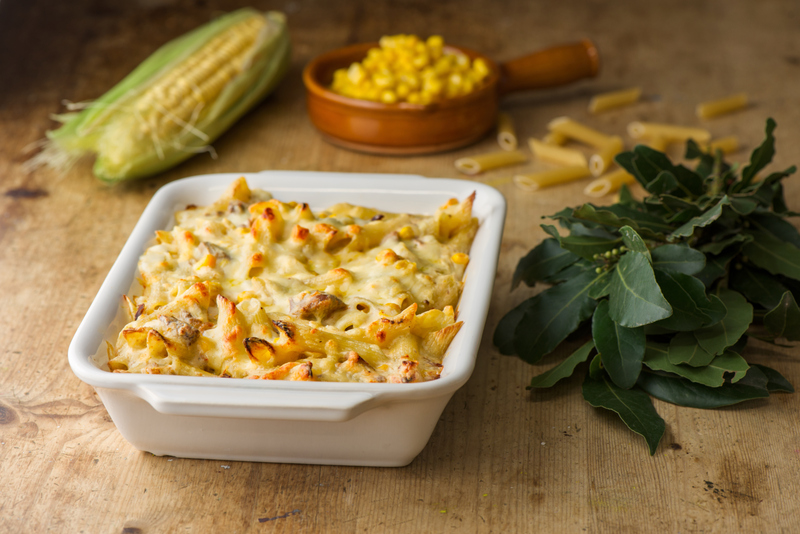 Penne pasta with a friendly tuna and sweetcorn cheesy sauce. 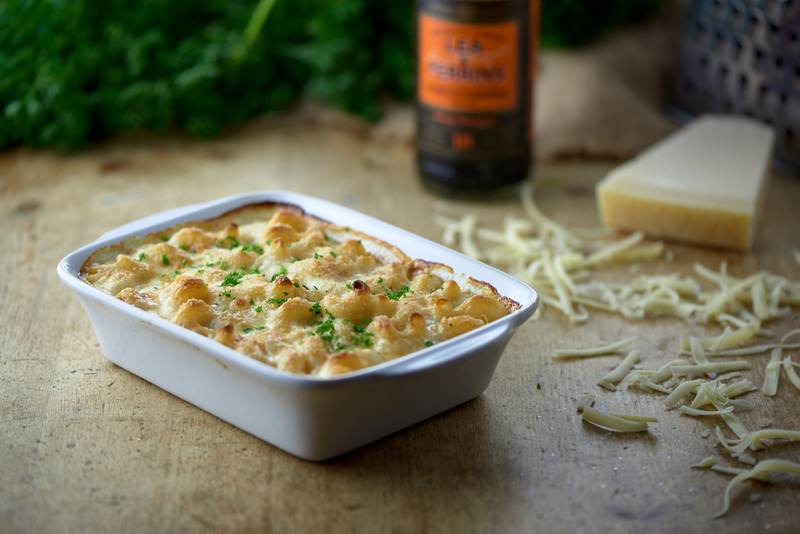 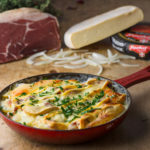 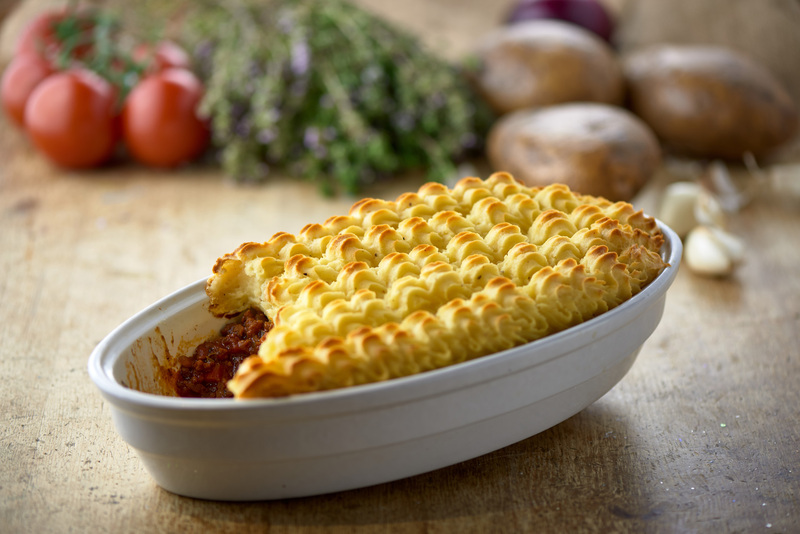 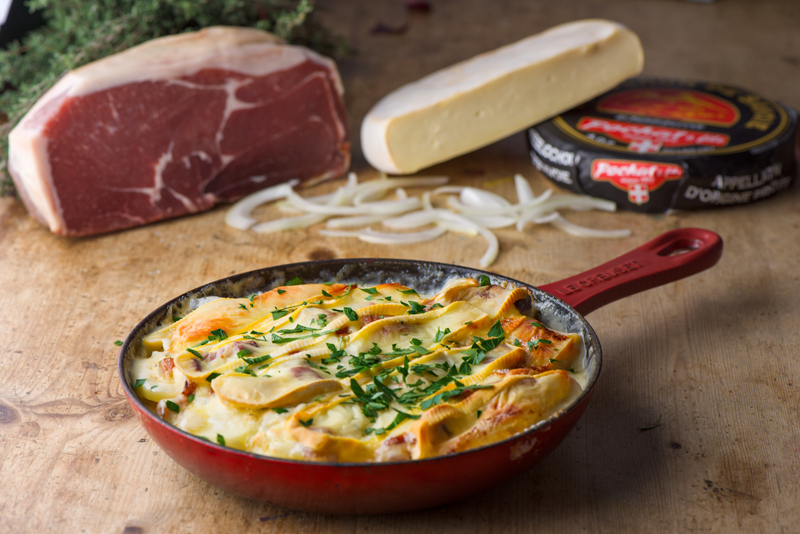 A rich, warming and traditional family favourite, finished with Worcestershire sauce and creamy mash topping. 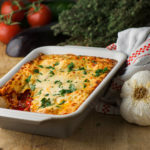 A real family winner! 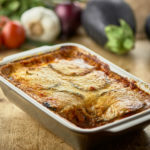 Cinnamon spiced beef with hint of mint, layered with potato, sweet olive oiled aubergine and a delicious creamy béchamel sauce. 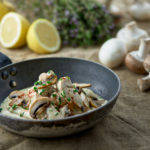 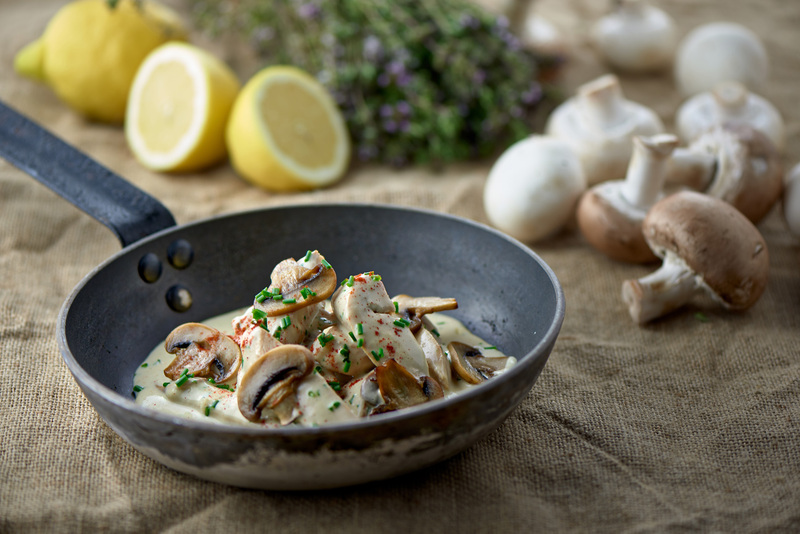 Tender poached chicken and sautéed mushrooms in a tangy Dijon mustard, lemon cream sauce. 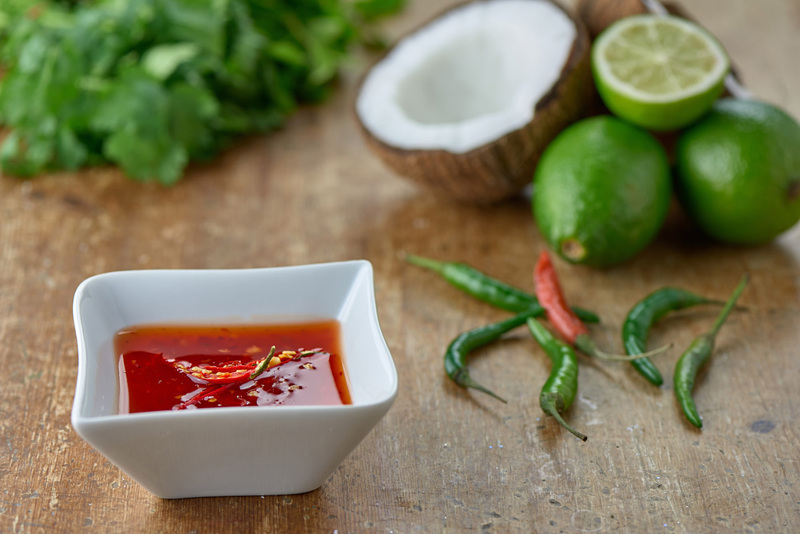 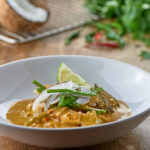 Tender pieces of hake and salmon cooked in a spicy tomato and coconut sauce, with tangy tamarind, cumin and coriander. 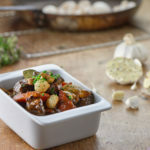 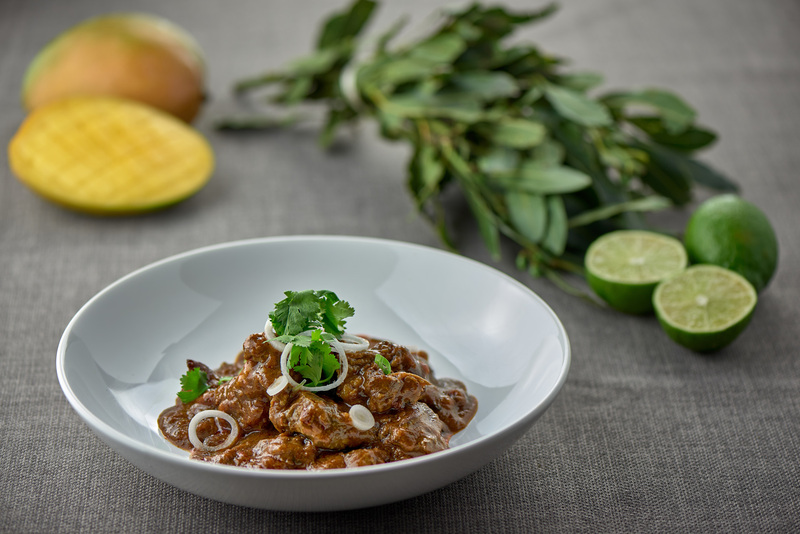 Tender braised lamb with garlic, ginger and aromatic spices of cloves, bay leaves, cardamom and ginger. 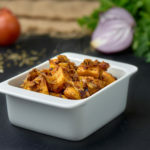 A Kashmiri speciality. 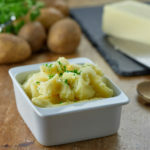 These simple potatoes are one of the most popular sides. 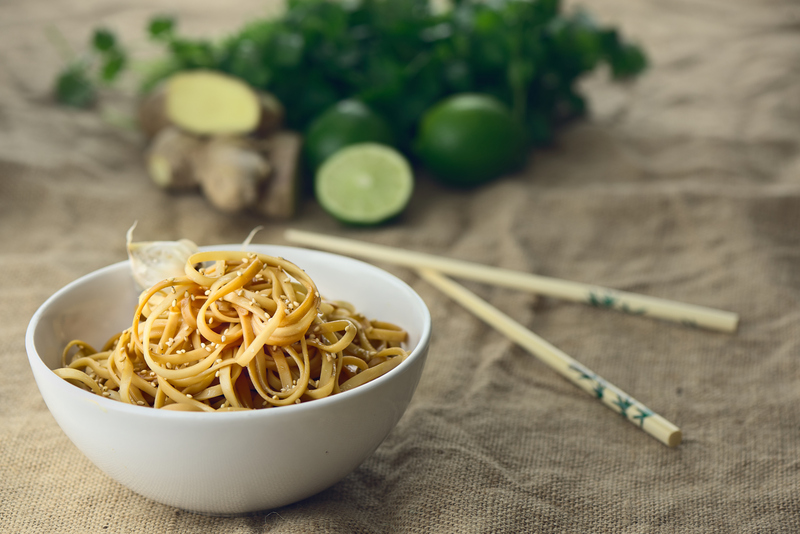 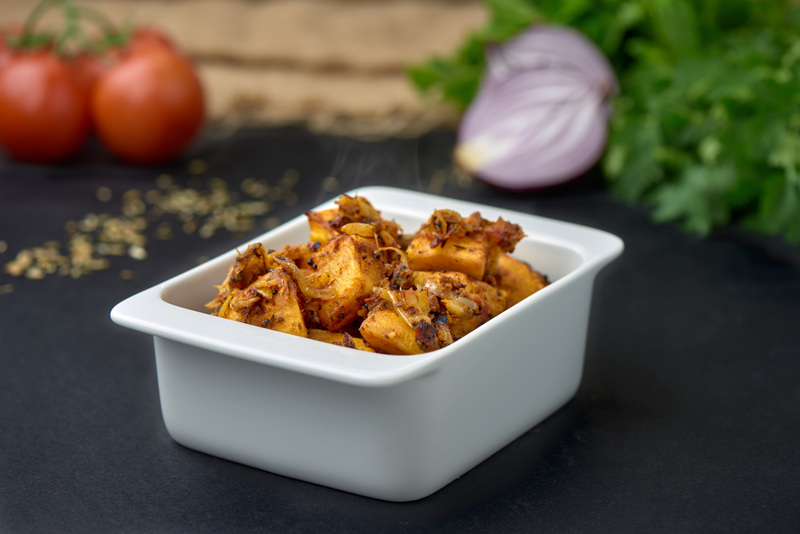 Sautéed with black mustard seeds, turmeric, coriander, fennel seeds and tomato finished with a squeeze of lemon. 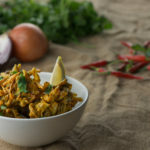 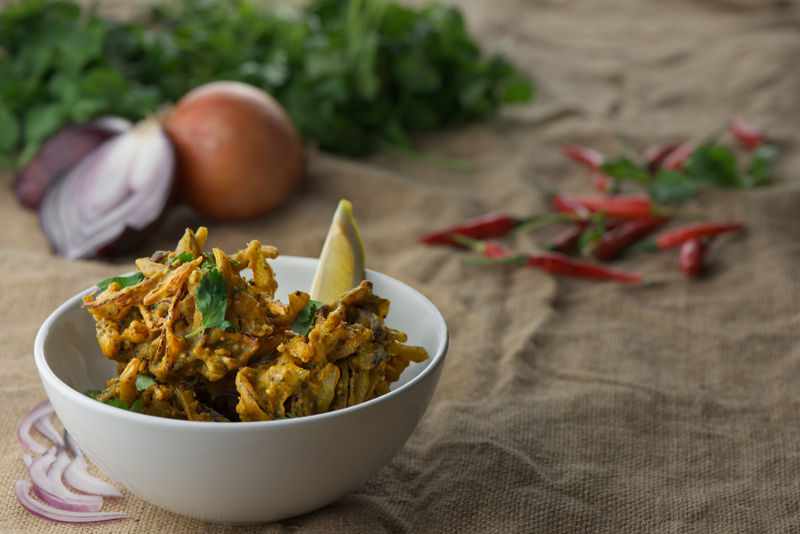 Deep fried fluffy onion bhaji with mustard seeds, cumin, coriander and a hint of chilli. 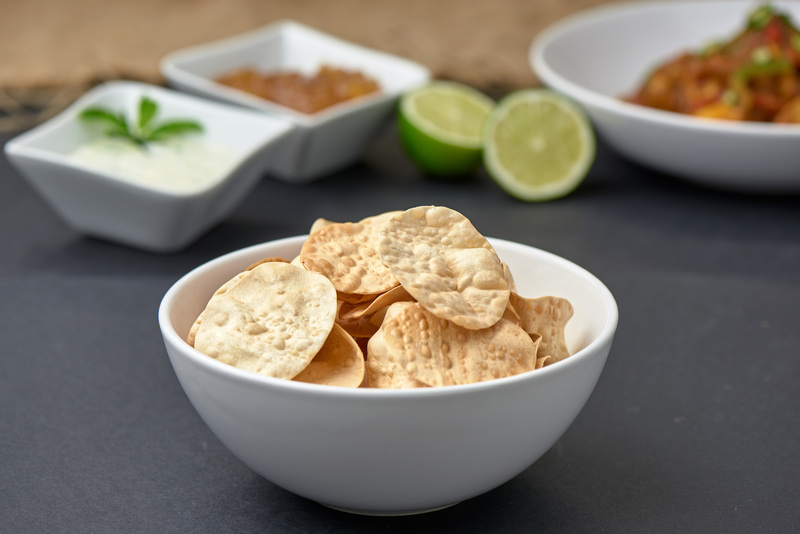 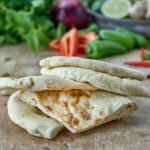 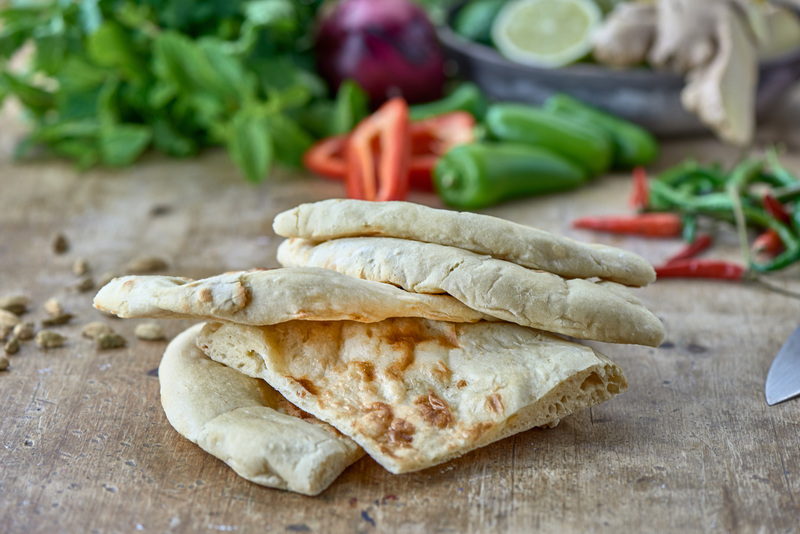 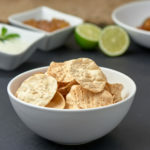 Equivalent to 4 large poppadoms, these taste so good and authentic as they are cooked fresh then immediately frozen to lock in all the flavour......you may well find yourselves fighting over the last one! 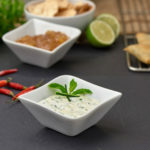 Favourite of all the chutneys by far. 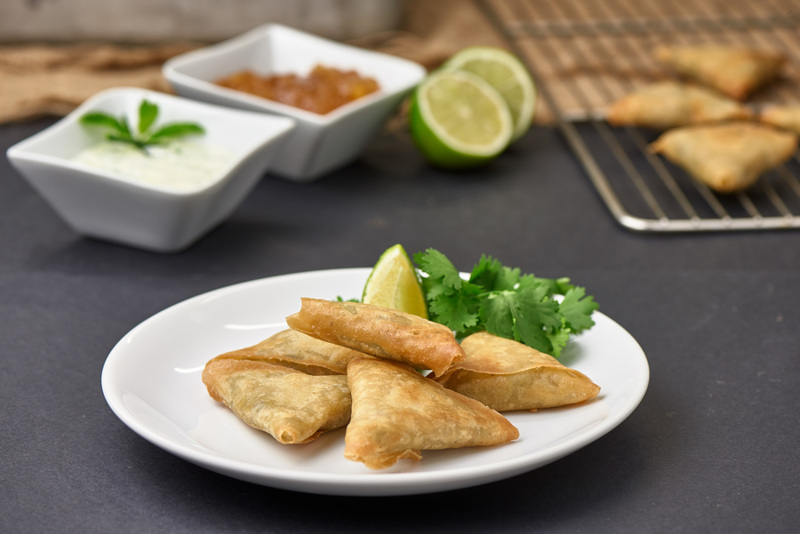 Deep fried vegetable samosas with potato and peas, spiced with turmeric, ginger, coriander, cumin and cayenne. 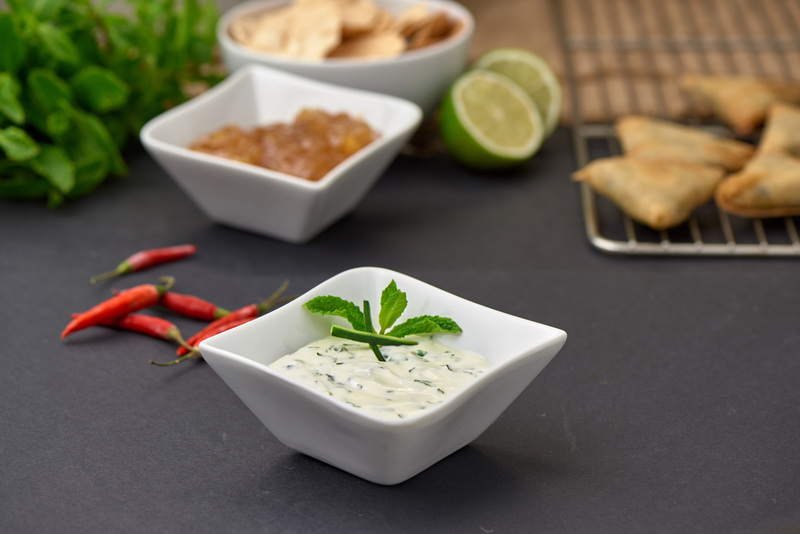 Classic yoghurt, cucumber raita finished with mint, a perfect accompaniment for all curry dishes. 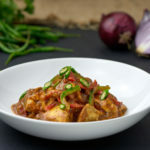 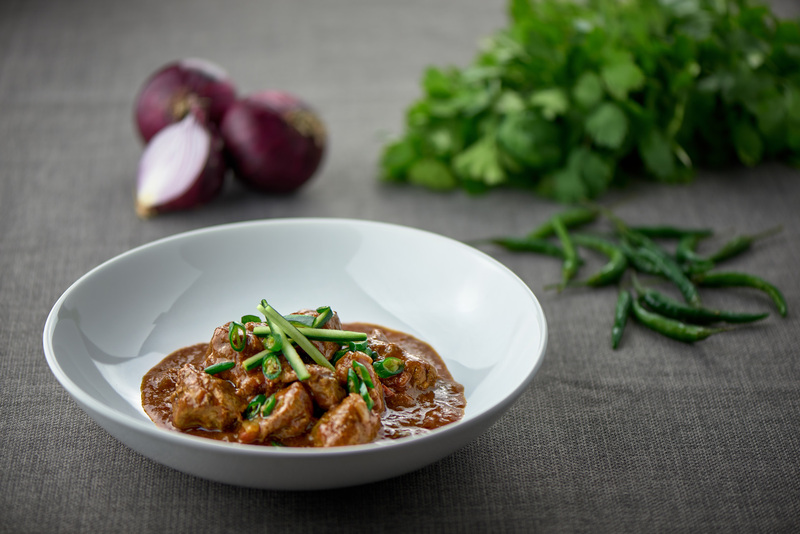 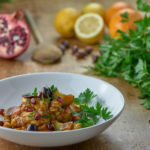 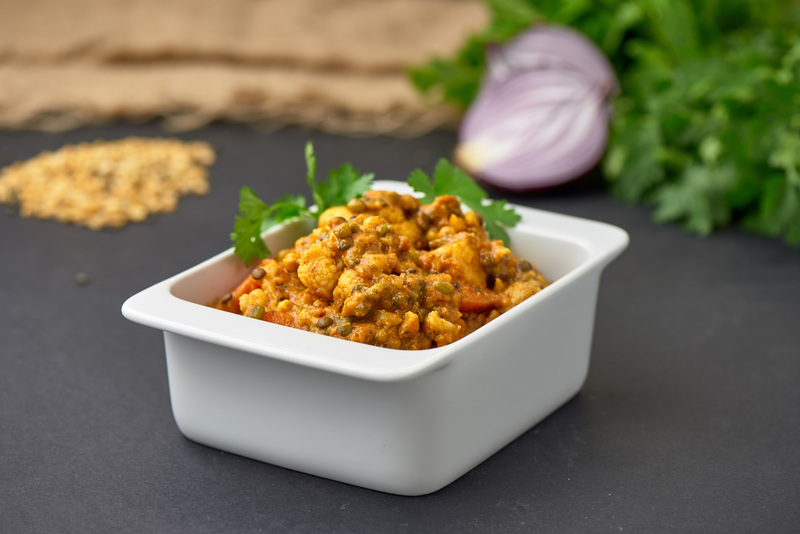 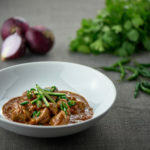 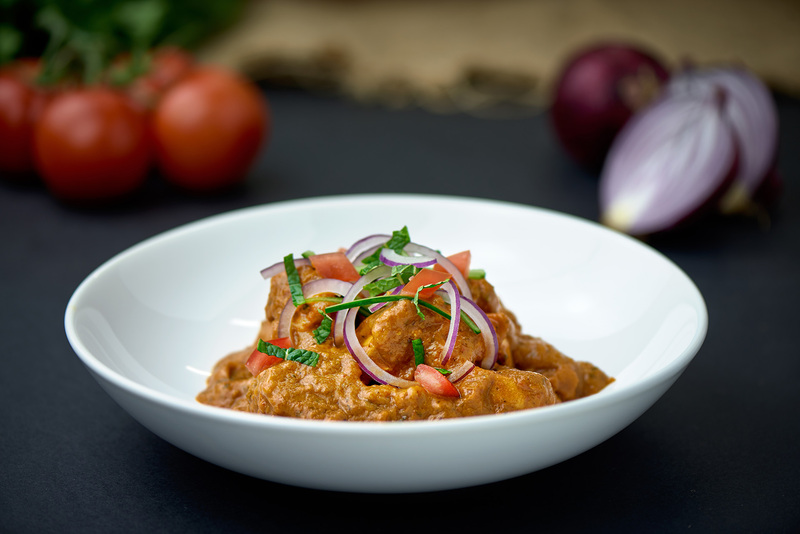 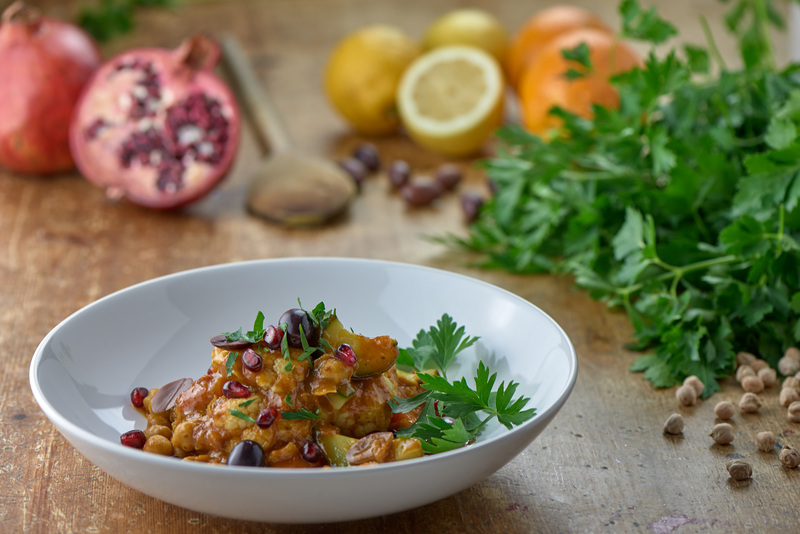 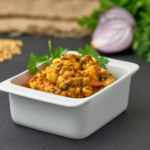 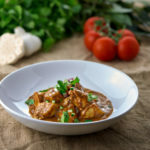 Tender chicken breast in a medium spiced tomato sauce with tamarind, cumin and mustard, finished with coriander. 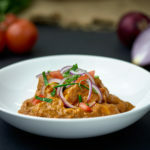 Tandoor baked chicken in a tomato and coriander sauce, spiced with turmeric, paprika, cumin, garam masala and a splash of cream. 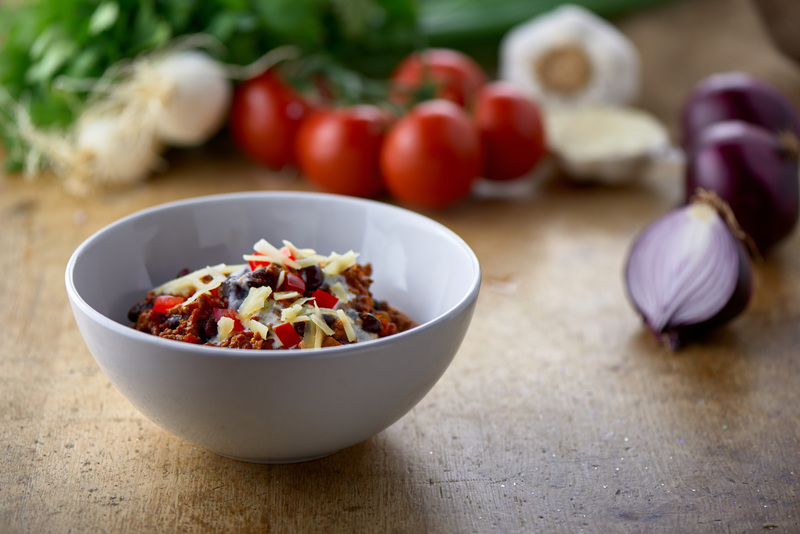 One for all the family. 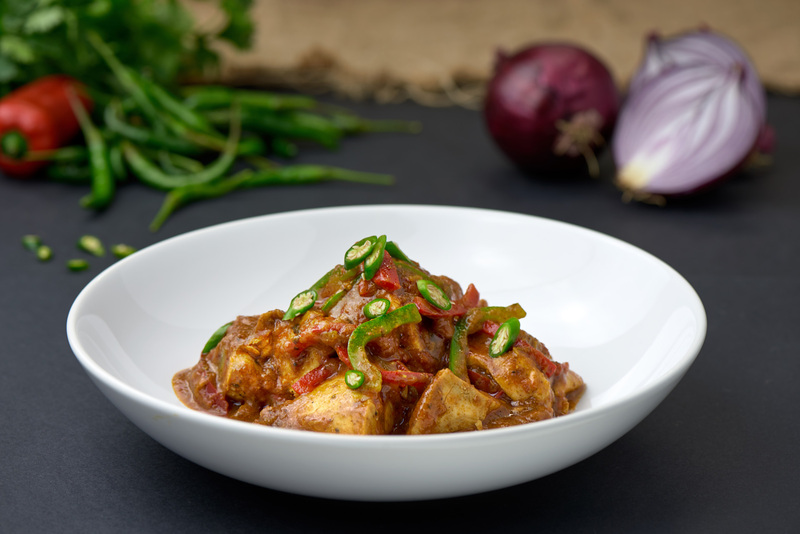 Tender chicken in a medium curry with red & green peppers, onion, and tomato finished with garam masala. 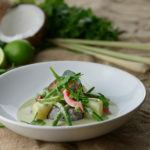 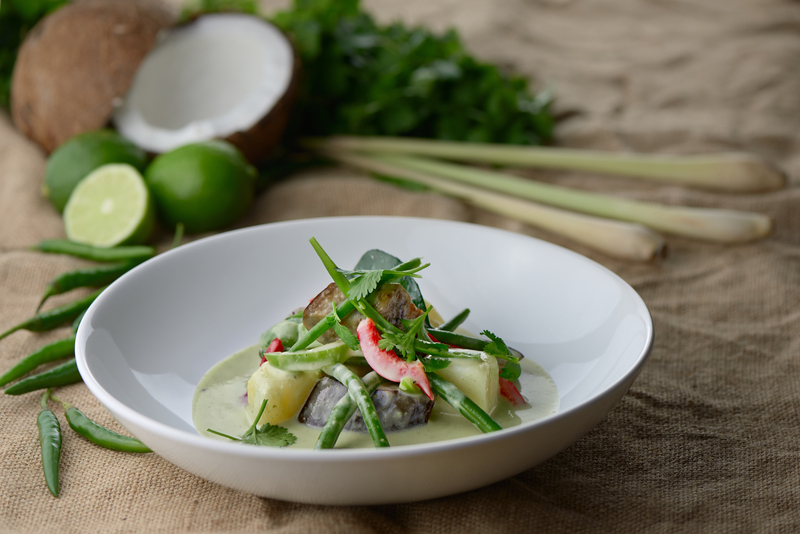 Green beans, red and green peppers, potato and aubergine cooked in coconut milk with lemongrass and kaffir lime leaves. 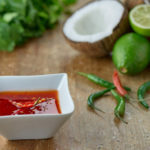 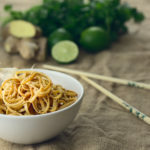 No fish sauce in this one! 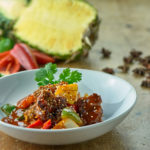 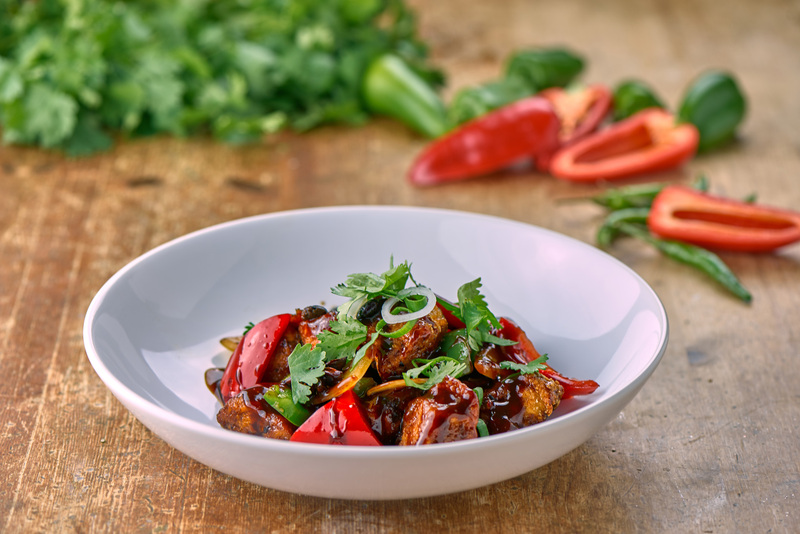 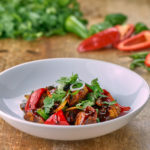 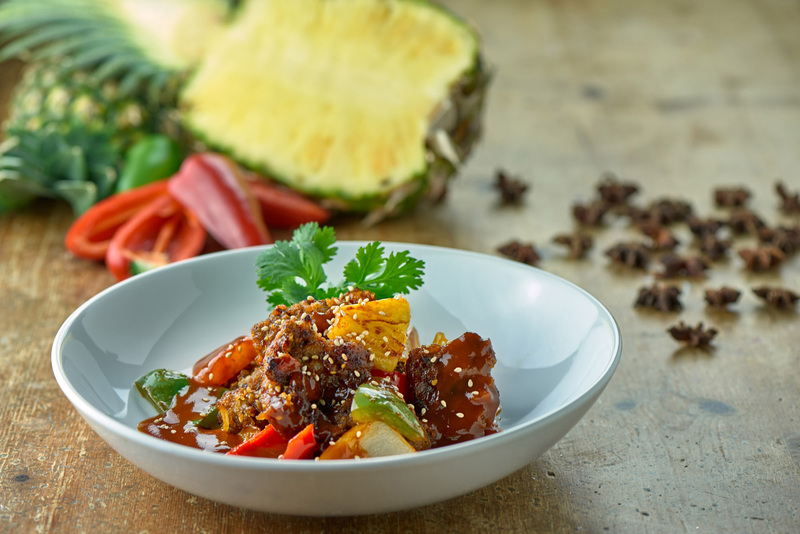 Crispy fried pork in a light sweet and sour sauce with peppers and pineapple, scented with star anise and topped with sesame seeds. 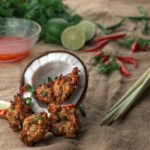 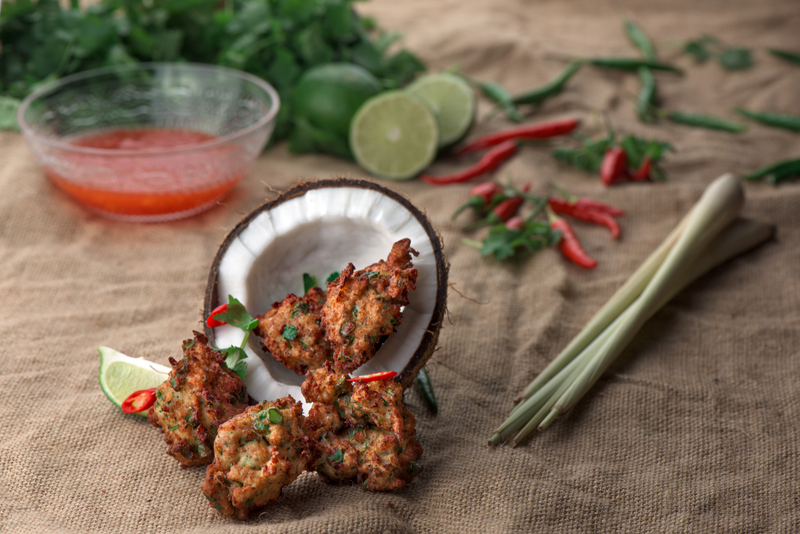 Spicy Thai Fishcakes with coriander and lemongrass. 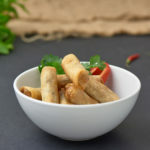 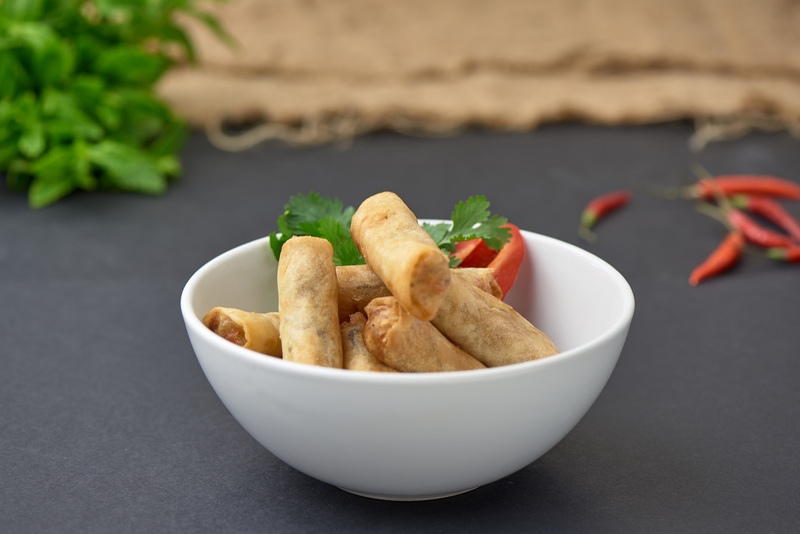 Deep fried spring rolls with vermicelli, and vegetables. 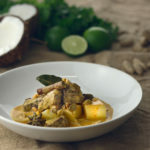 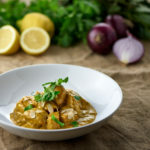 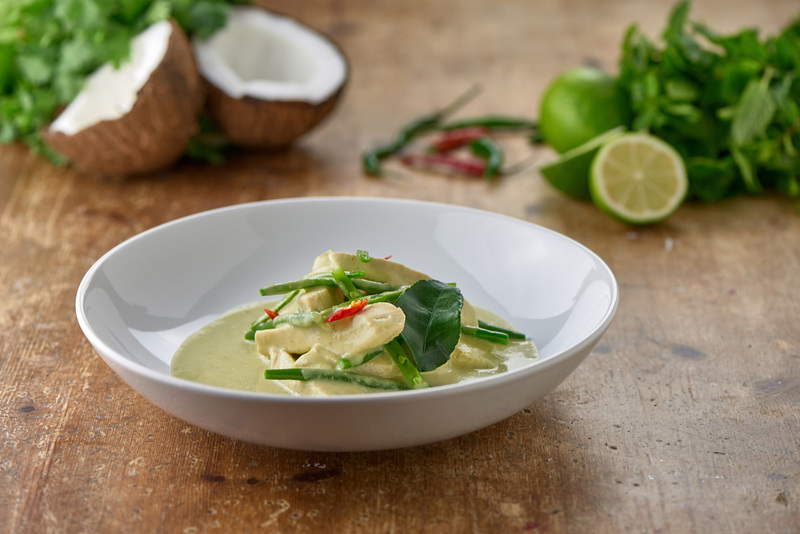 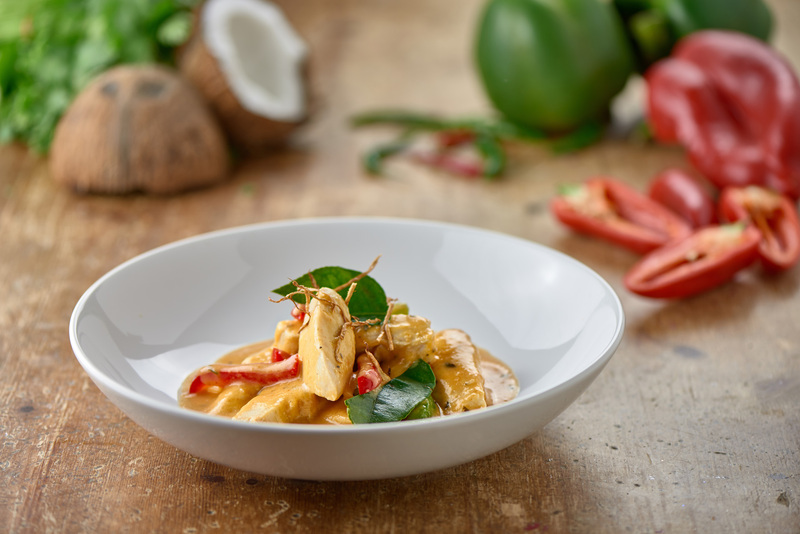 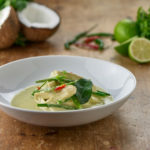 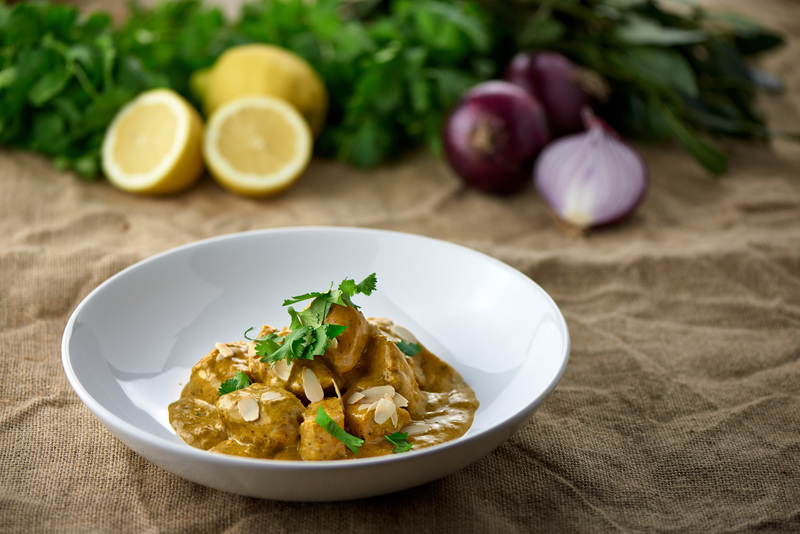 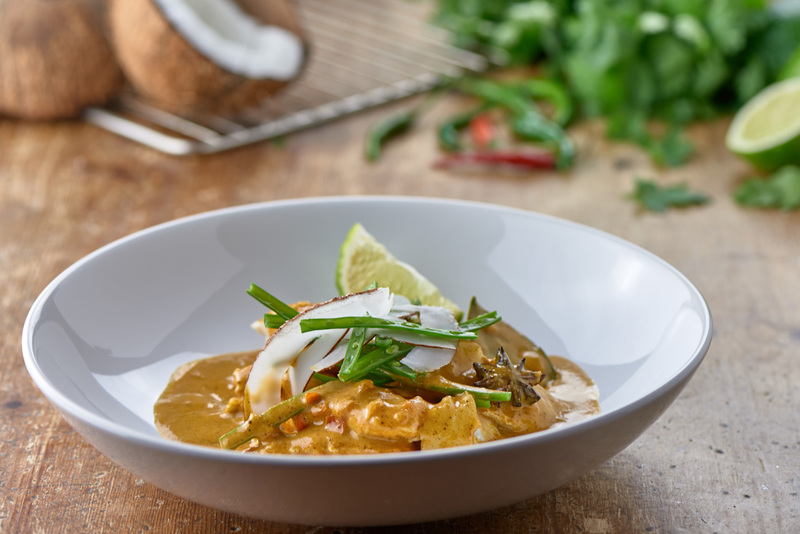 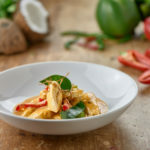 Tender chicken breast in coconut milk with a base of red Thai paste, galangal, garlic and lemongrass. 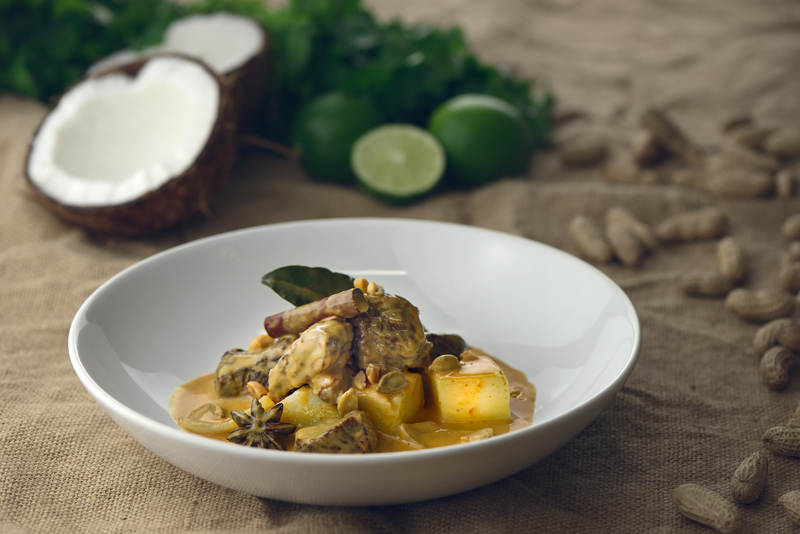 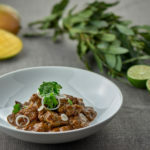 Slow cooked beef and potato with peanuts in a light Thai coconut spiced curry sauce, scented with star anise, cinnamon and cardamom. 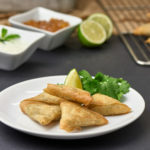 A Vegetarian delight, also totally vegan! 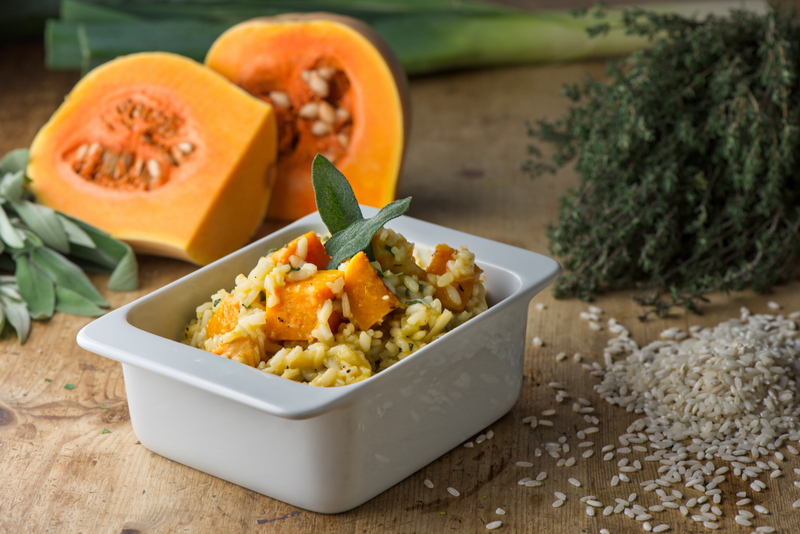 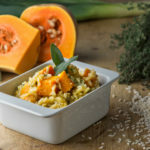 Cooked in olive oil and white wine with roasted butternut, butternut puree, finished with sage and parsley. 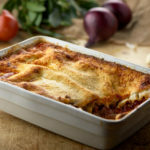 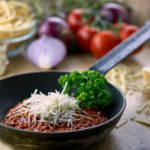 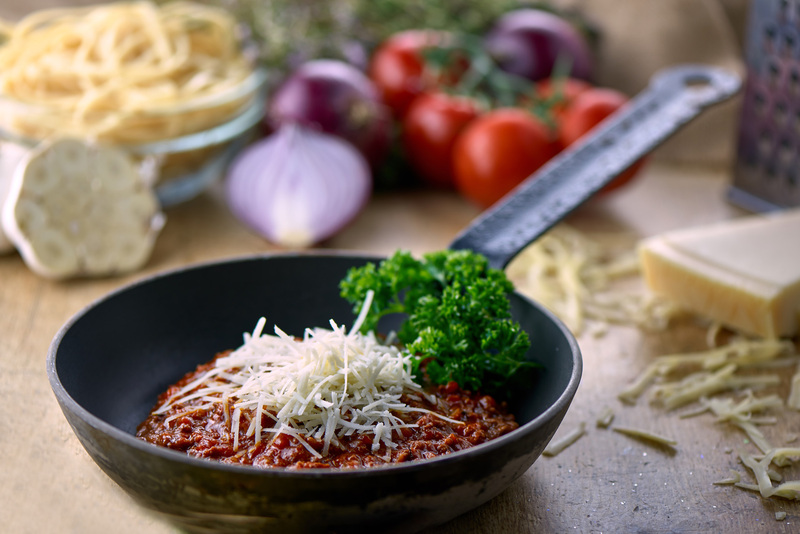 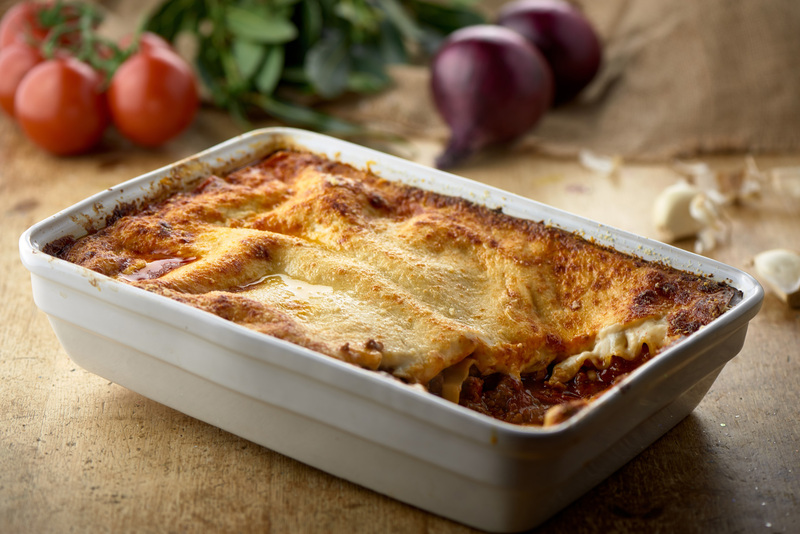 Rich bolognese, layered with pasta sheets and creamy béchamel sauce with a hint of paprika. 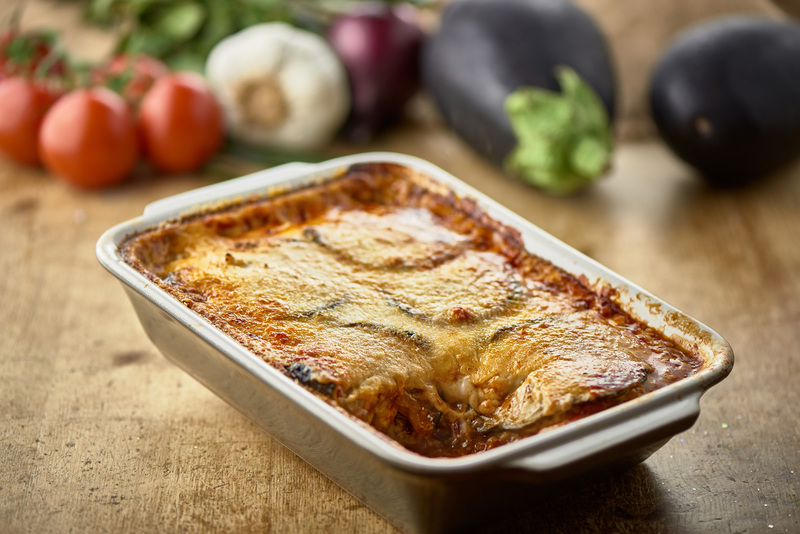 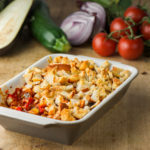 A rich Provençale ratatouille, layered with pasta sheets and creamy paprika béchamel sauce. 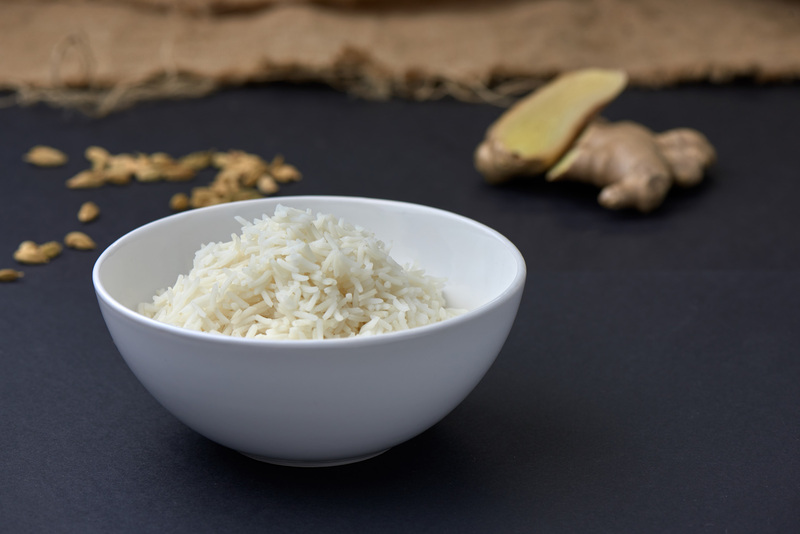 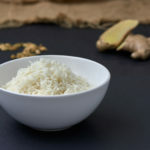 Fragrant basmati rice perfect as a ‘side’ for all our curries. 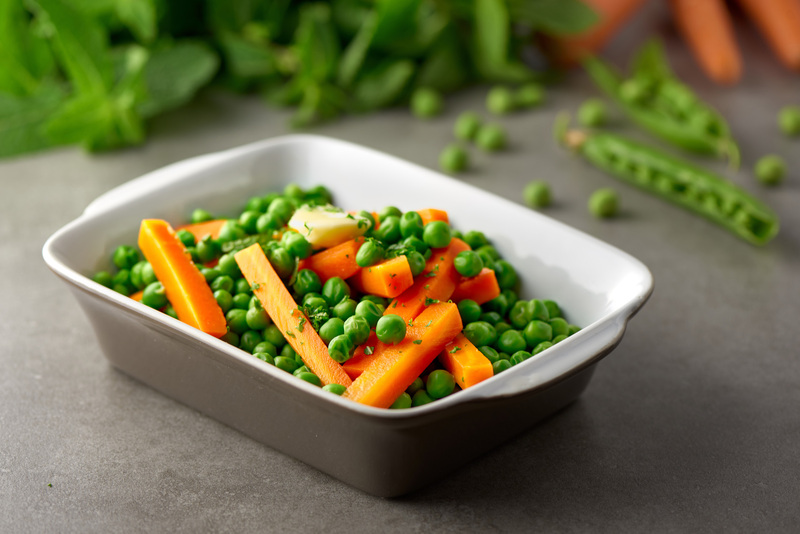 Petits pois and tender carrots. 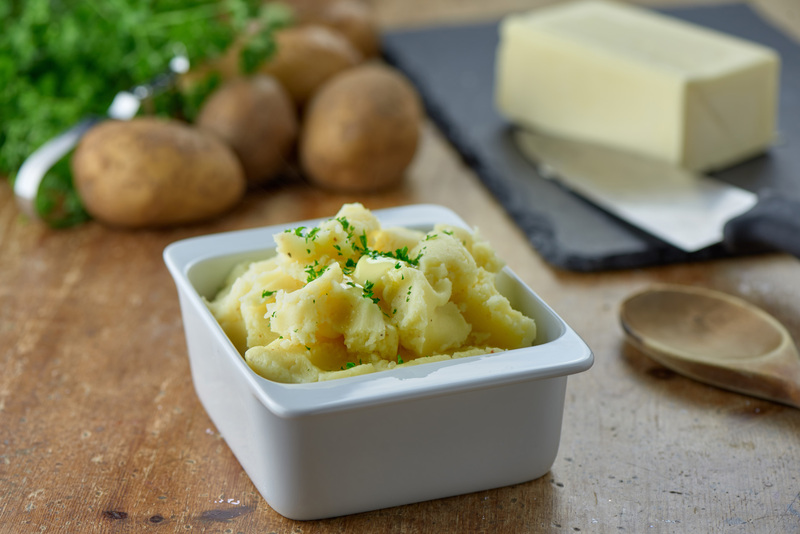 Creamy mash with butter, milk and nutmeg. 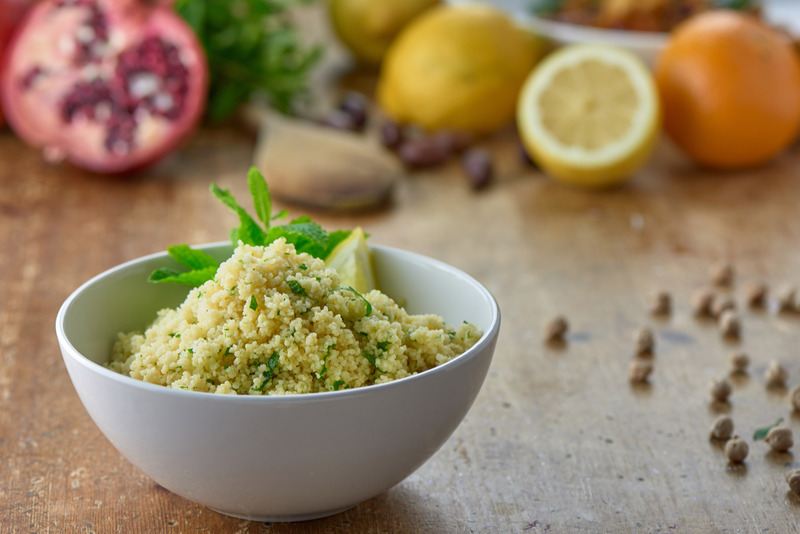 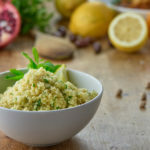 With lemon, olive oil and parsley. 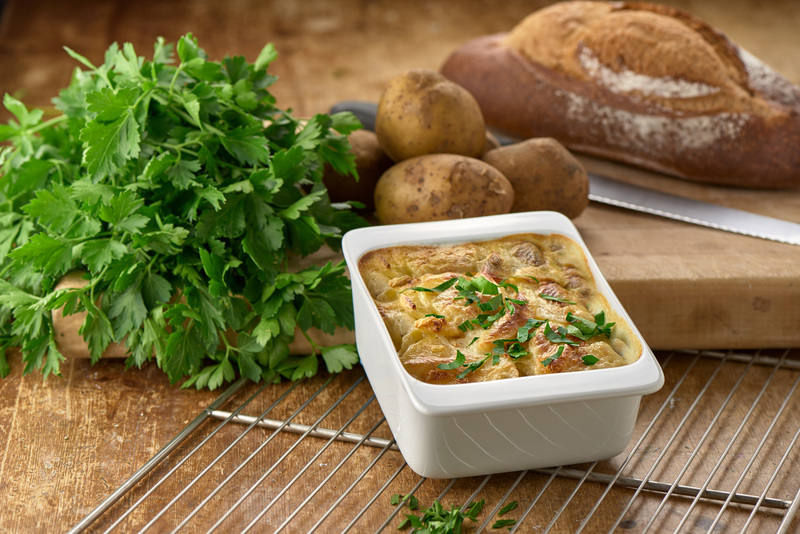 This is a French classic that never disappoints. 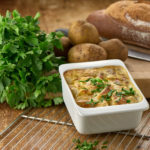 Sliced potato cooked in a light garlic cream, scented with a little nutmeg. 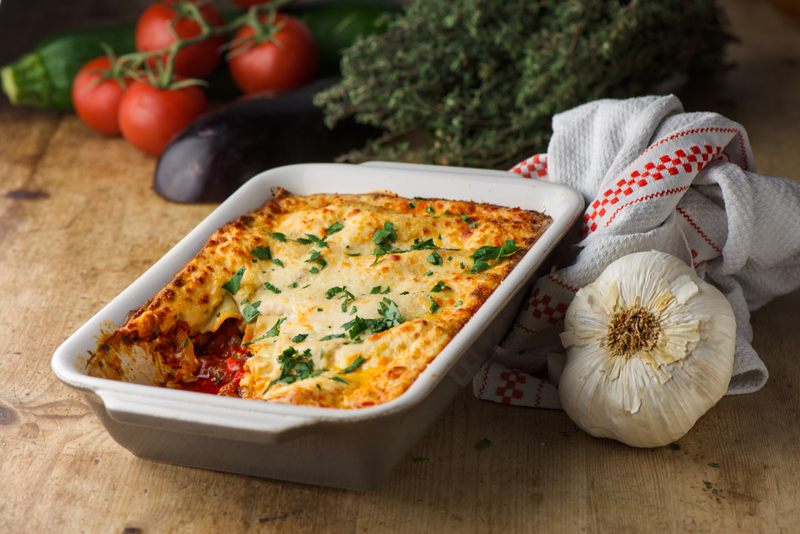 Ready for you to bake! 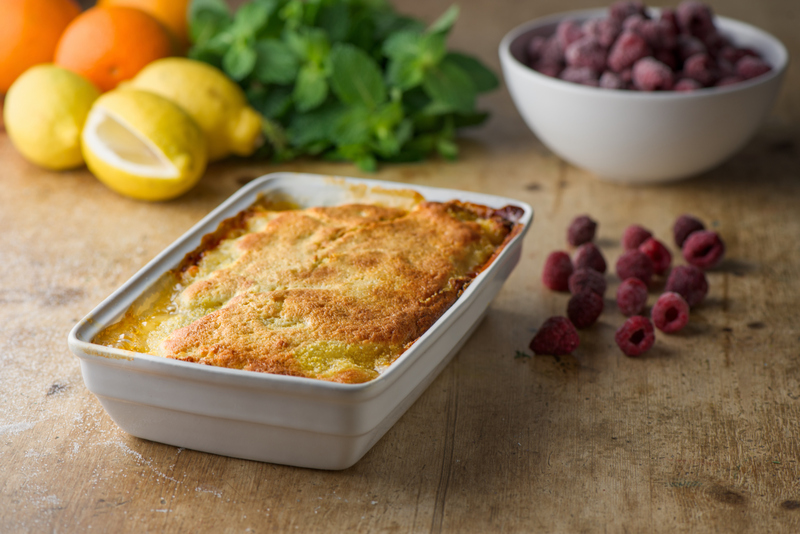 The perfect marriage of stodge and sweetness! 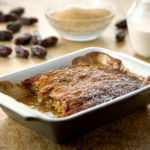 A good old English date pudding with butterscotch sauce. 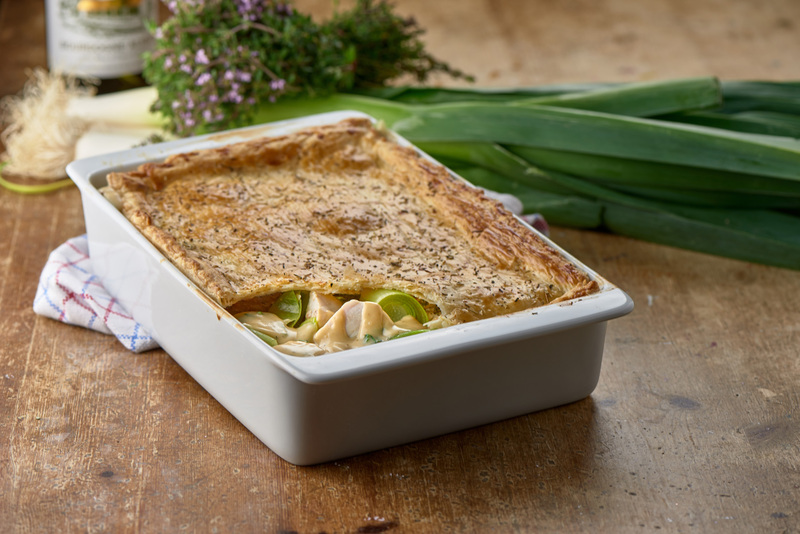 An English country farmhouse classic. 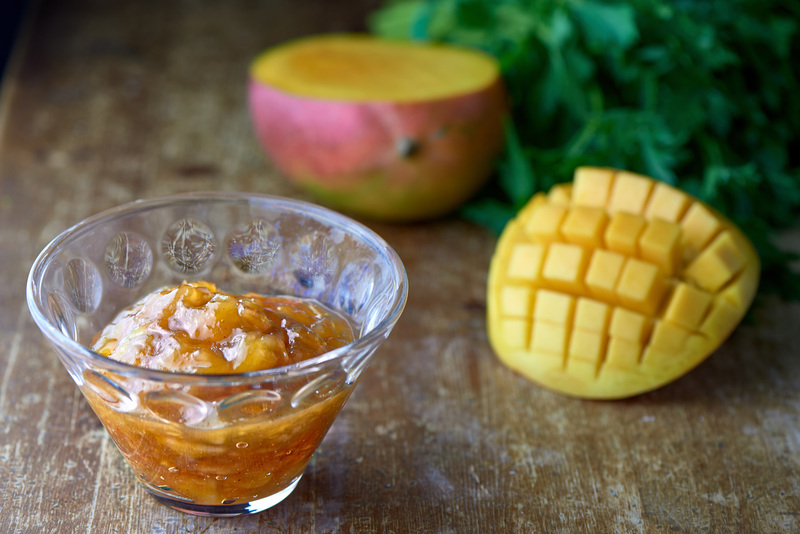 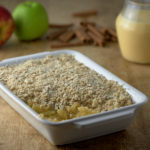 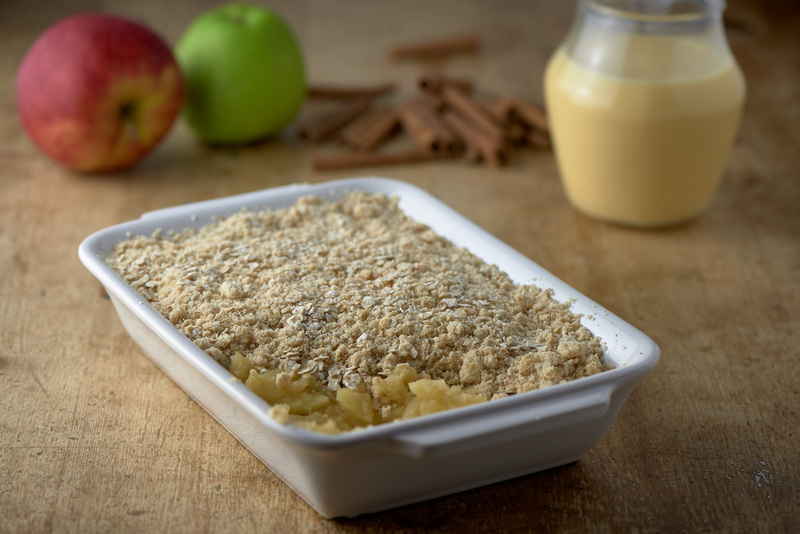 Apple compote with a hint of cinnamon topped with a crunchy crumble of oats and brown sugar. 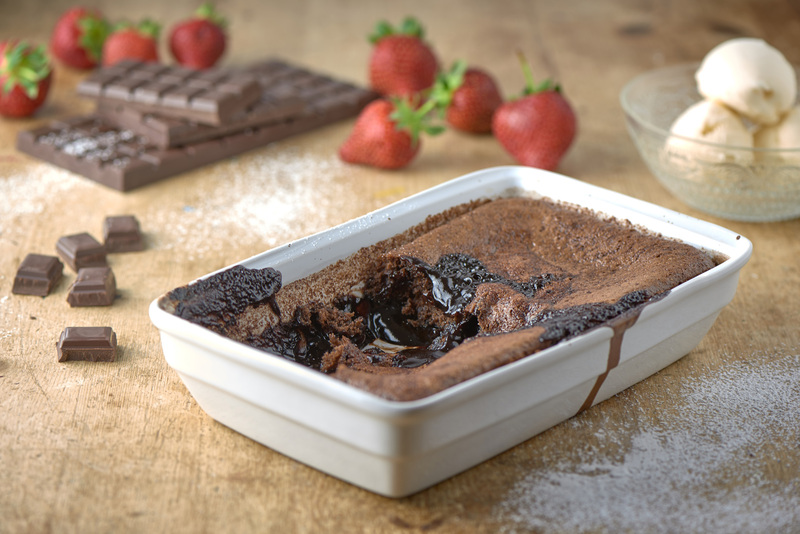 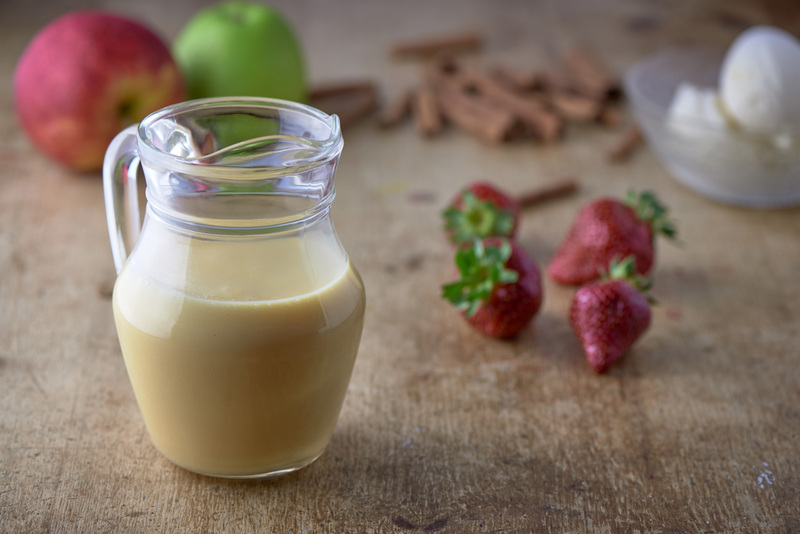 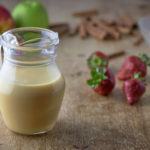 The question is….. Ice-cream or custard? 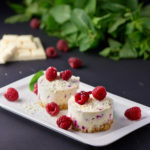 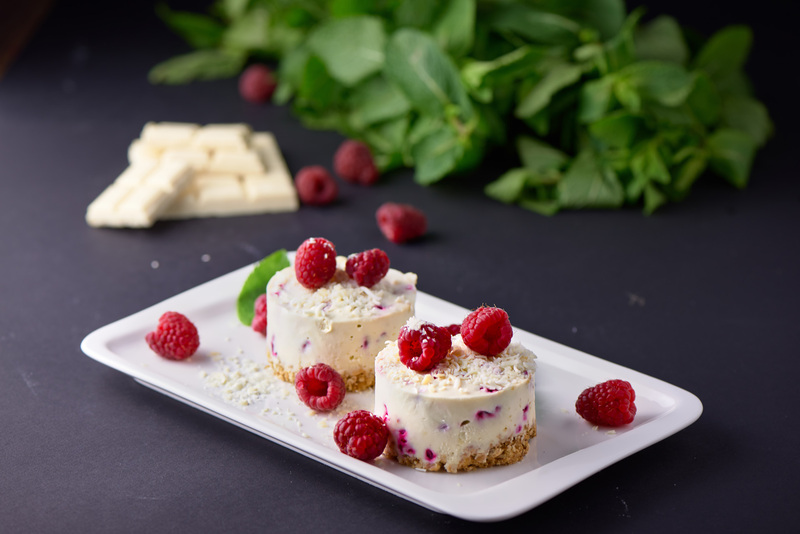 A decadent, rich white chocolate cheesecake with zingy raspberries on a crispy ginger biscuit base. 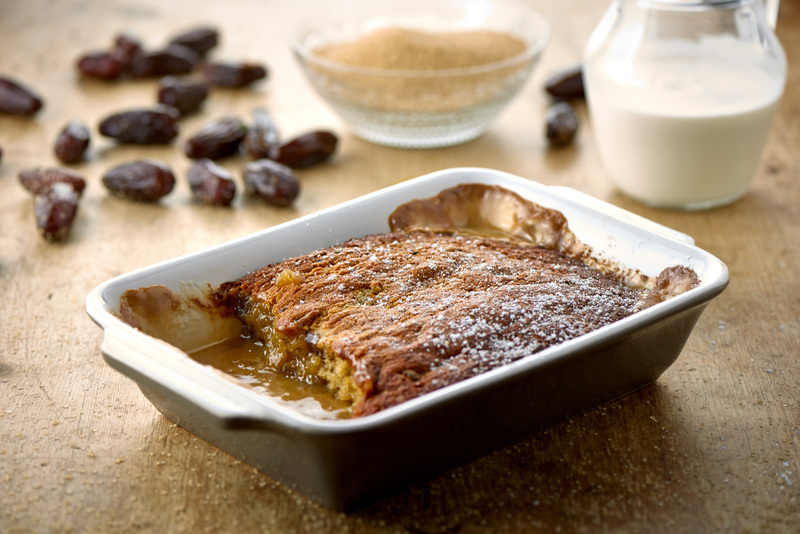 Perfect with all our hot puddings. 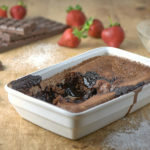 Delicious chocolate cake with a rich molten chocolate sauce. 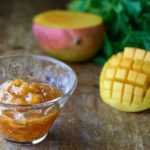 Perfect with vanilla ice cream. 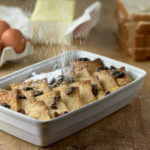 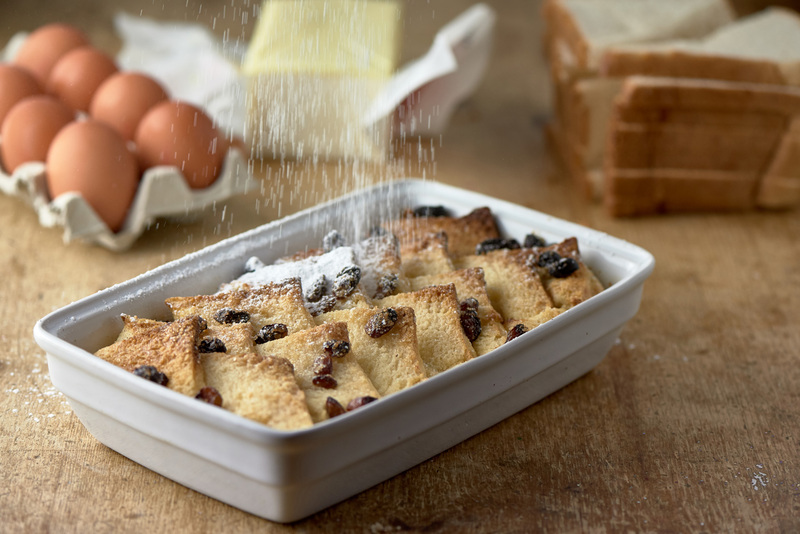 A traditional British classic with sultanas, cinnamon and nutmeg. 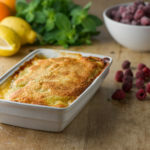 Hot, zesty lemon pudding in a tangy lemon sauce.